It reminded me of the stories that every correspondent had about using Google or Waze when I used to cover Israel and the Palestinian territories. Your phone would regularly take you in and out of each as if there weren’t a conflict going on, through military checkpoints and down roads that often ended in a wall put up 10 years before. Even if impassable, it was always the shortest route, Google assured. You were barred from Venezuela last year after reporting on the financial crisis there in 2016. You witnessed shortages of food, medical supplies and electricity. What were some of the technology challenges you faced under such tough circumstances? A correspondent there warned me before I arrived to bring a Kindle — books were sometimes easier to download than to buy in Caracas, especially best-sellers or anything in English. You also lived in fear of losing things as basic and easy to get as a power cord. Venezuela is a country where people are having trouble finding tires when they get holes in them on the road, let alone Apple products. It is very unfortunate. It’s not uncommon for Venezuelans to come back with a duffel bag filled with just the basics that aren’t for sale in stores anymore: toilet paper, dish detergent, shampoo, sponges. It would get to the point where you were also adding phone chargers, batteries, USB cables, internet routers and anything else you could imagine that plugged into the wall. How has internet connectivity been in the Andes countries, and how do locals use apps or websites like Facebook or Twitter? Places like Easter Island, where Mr. Casey visited the extinct volcano Rano Kau, don’t always lend themselves to navigation with Google Maps. 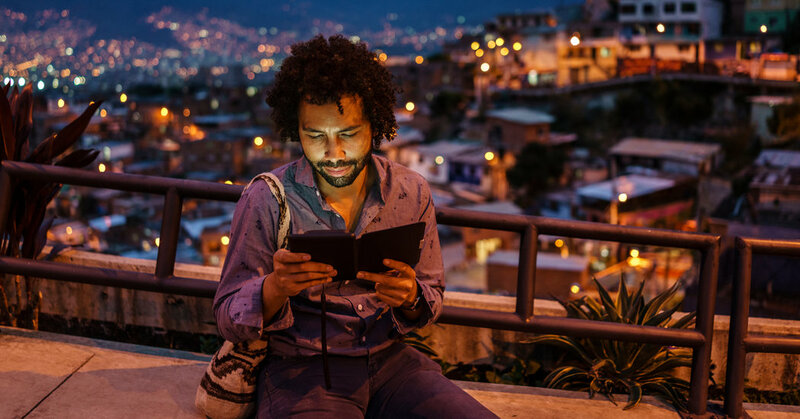 You’d be surprised how fast the leap to connectivity can be in rural Latin America. It’s a lot faster to get a cellphone tower into a village than the years spent waiting for the state utility to install landlines. Social media has replaced the rumor mill in a lot of villages. Facebook is offering free internet to parts of Latin America — which increases connectivity but also, to Facebook’s aim, trains people to see Facebook as the extent of the internet. How do governments use tech for surveillance in those places? That’s a question everyone would like to know. Venezuelan spying can be surprisingly low-tech at times — opposition politicians regularly turn on the television to hear embarrassing conversations of their telephone calls being aired to the public. It seems a bit of a throwback to the Soviet Union in some ways, rather than Pegasus and the other recent spyware that governments usually reach for. It’s effective, though. Many conversations just don’t happen over the phone, and we find another place to communicate where there’s encryption, like Telegram.